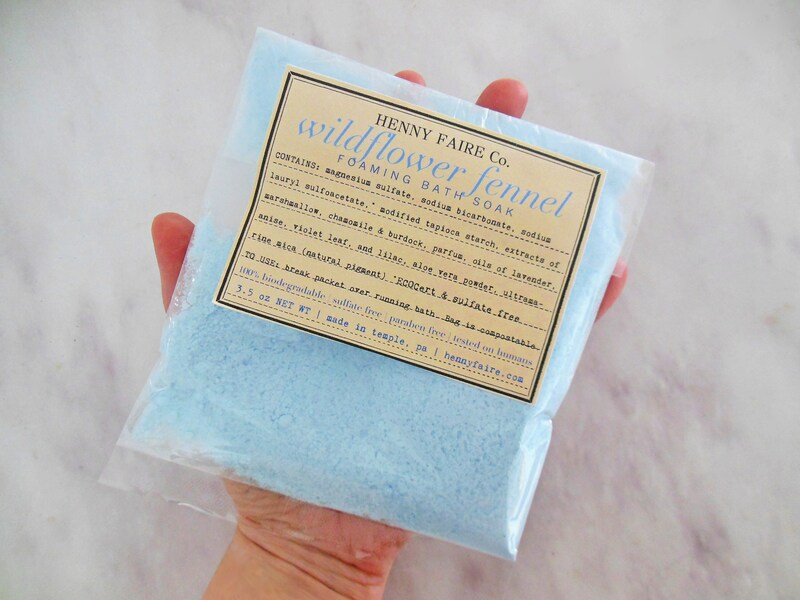 With notes of wild fennel, lilac, lavender, chamomile, and muguet lily, our Wildflower & Fennel Foaming Bath Salts will have you singing into spring. 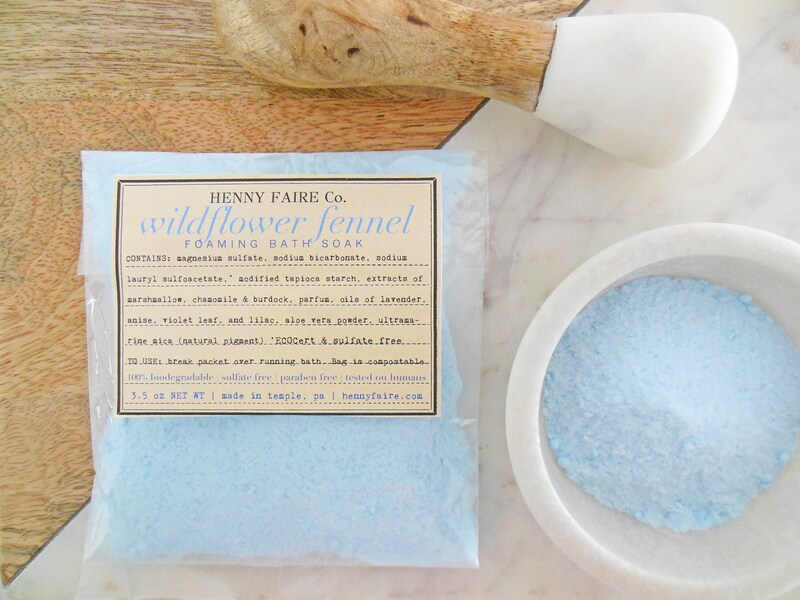 This single bath packet makes heaps and heaps of luxurious, lasting bubbles. Best of all, these suds are sulfate-free, plant-based, and 100% biodegradable. This single bath packet (3.5 oz) comes packaged in a clear compostable bag.